Why Use Identity Theft Protection Services? In the last past couple of years, identity theft is becoming a huge problem in society. People can hear about it all over the news and the panic level is slowly rising. Identity theft can end up a couple of ways. Some thieves just use stolen credit cards to get cash while others completely destroy them by opening businesses in their names and using their personal information for illegal actions. Identity theft is a serious crime that can cost a lot to fix, not only in money but in refiling fees for loans, private investigators and everything else needed to fix the damage. Identity protection is an entire process and the first step of it is to always stay on top of your financial record. If you want to hire a service to keep an eye on your credit for you, there are great, reliable services that will monitor all information for you and alert you if something goes wrong. ID protection services do not monitor only the financial information, they check on medical information, social security number, address, credit cards and more. The best credit monitoring services offer a lot of options for those who want to stay safe. Data monitoring is just the start of identity protection services. if you want to pick the best service for protection, pick the one that adapts to new criminal strategies. Some of the best identity fraud protection services are Identity Guard, Identity Force, LifeLock and more. The choice of companies is pretty big, but they all offer different benefits and services in their packages. Pick the one that fits your needs the most and makes sure your personal data and bank accounts stay safe from criminal activities. Recovery assistance is something that is best if it never happens, but if it does, you need a service that will provide their help to take care of the damage done by thieves. The company will provide you with specific steps that will freeze your credit cards, notify the credit bureaus, and banks as well. You should pick a company that offers a money guarantee or insurance to cover your losses. If your wallet gets lost or stolen, many companies offer stolen wallet assistance. Some of the identity protection services offer better protection than others. Most companies monitor credit reports, some of them add all kinds of information under their protective wing. All of the services we came across cover the basic ID protection services and they add protection of credit cards, social security numbers and bank accounts. If there is a need, these companies also offer protection of high-risk payday loans. They are really important if you want to keep an eye on your personal information. Most companies that deal with ID protection include features that help clients prevent theft. These services include removing client’s names from mailing lists, helpful programs that provide computer security for their users. Some firms offer a plan that helps clients protect their entire family from ID theft. Children are more likely to have their identities stolen than adults. These plans are essential to keep your household safe from thieves. Identity protection services are very useful because they react quickly when a potential threat happens. They usually have a couple of ways of alerting clients to threats. Many of these companies also alert clients on their credit card changes. Identity protection services are as good as their customer support. These services should help clients and they have to be available at all times. Many companies have special education and information about identity theft issues on their websites. Some of them offer assessment tools that help clients determine their risk levels. There are many identity protection services available right now. 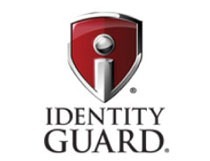 We have reviewed most of them and our recommendation is Identity Guard. This company has the best services and biggest insurance in case of fraud. It is a firm with a long tradition and it has a really high client satisfaction rate. Identity Guard is without a doubt one of the best credit monitoring and protection services available at the moment. They are on the top of the list because they offer to monitor with all three bureaus, as well as public record monitoring. The company offers all kinds of special ID protection services and clients get up to $1 million of insurance money if something goes wrong. The firm also offers a free mobile app so clients can monitor their info alone. 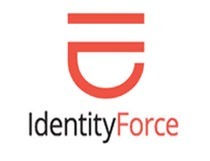 Identity Force is a very reliable credit monitoring service that has years of experience in this area. The company offers full credit monitoring through all three major credit bureaus. They pull the reports through TransUnion and offer special options like lost wallet protection, a personalized credit analysis tool, and alerts if changes occur. Every single client gets full ID theft insurance. 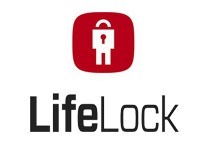 LifeLock is a trusted company with a good client history and a great credit monitoring plan. They offer protection of bank accounts, social security numbers, and they pull credit reports through all three major bureaus. They have a fast fraud alerting service and they even offer deep web identity monitoring. The insurance for ID theft can reach up to $1 million. SECURE THE FUTURE OF YOU AND YOUR FAMILY! Read Our Best Credit Monitoring and Identity Protection Services Reviews. Choose the Right Company for Your Needs!